La 72.ª entrega de los premiu Óscar tuvo llugar el día 26 de marzu de 2000 nel Shrine Auditorium y Expo Center de Los Angeles (Estaos Xuníos). Sam Mendes foi'l ganador del Óscar al meyor direutor por American Beauty. Kevin Spacey foi'l ganador del Óscar al meyor actor por American Beauty. Hilary Swank foi la ganadora del Óscar a meyor actriz por Boys Don't Cry. 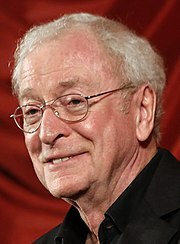 Michael Caine foi'l ganador del Óscar a meyor actor de repartu por The Cider House Rules. Angelina Jolie foi la ganadora del Óscar a la meyor actriz de repartu por Inocencia atayada. American Beauty — Bruce Cohen y Dan Jinks. Sam Mendes — American Beauty. The Cider House Rules — Richard N. Gladstein. The Green Mile — Frank Darabont y David Valdes. The Insider — Pieter Jan Brugge y Michael Mann. The Sixth Sense — Frank Marshall, Kathleen Kennedy y Barry Mendel. Kevin Spacey — American Beauty; como Lester Burnham. Hilary Swank — Boys Don't Cry; como Brandon Teena. Russell Crowe — The Insider; como Jeffrey Wigand. Richard Farnsworth — The Straight Story; como Alvin Straight. Sean Penn — Sweet and lowdown; como Emmet Ray. Denzel Washington — The Hurricane; como Rubin Carter. Annette Bening — American Beauty; como Carolyn Burnham. Janet McTeer — Tumbleweeds; como Mary Jo Walker. Julianne Moore — The End of the Affair; como Sarah Miles. Meryl Streep — Música del corazón; como Roberta Guaspari. Michael Caine — The Cider House Rules; como Dr. Wilbur Larch. Angelina Jolie — Inocencia atayada; como Llisa Rowe. Tom Cruise — Magnolia; como Frank T.J. Mackey. Michael Clarke Duncan — The Green Mile; como John Coffey. Jude Law — The Talented Mr. Ripley; como Dickie Greenleaf. Haley Joel Osment — The Sixth Sense; como Cole Sear. Toni Collette — The Sixth Sense; como Lynn Sear. Catherine Keener — Being John Malkovich; como Maxine Lund. Samantha Morton — Sweet and lowdown; como Hattie. Chloë Sevigny — Boys Don't Cry; como Llana Tisdel. American Beauty — Alan Ball. The Cider House Rules — John Irving, basáu en Príncipes de Maine, reis de Nueva Inglaterra por John Irving. Being John Malkovich — Charlie Kaufman. Magnolia — Paul Thomas Anderson. The Sixth Sense — M. Night Shyamalan. Election — Alexander Payne y Jim Taylor, basáu en Election por Tom Perrotta. The Green Mile — Frank Darabont, basáu en El pasiellu de la muerte de Stephen King. The Insider — Eric Roth y Michael Mann, basáu en The Man Who Knew Too Much por Marie Brenner. The Talented Mr. Ripley — Anthony Minghella, basáu en El talentu de Mr. Ripley por Patricia Highsmith. Tou sobre la mio madre (España) n'español — Pedro Almodóvar. East/West (Francia) en francés — Régis Wargnier. Himalaya (Nepal) en nepalín — Éric Valli. Solomon & Gaenor (Reinu Xuníu) en galés — Paul Morrison. Under the Sun (Suecia) en suecu — Colin Nutley. Un día en septiembre — Arthur Cohn y Kevin Macdonald. King Gimp — Susan Hannah Hadary y William A. Whiteford. Bona Vista Social Club — Wim Wenders y Ulrich Felsberg. Genghis Blues — Roko Belic y Adrian Belic. On the Ropes — Nanette Burstein y Brett Morgen. Speaking in Strings — Paola di Florio y Lilibet Foster. Eyewitness — Bert Van Bork. The Wildest Show in the South: The Angola Prison Arrodio — Simeon Soffer y Jonathan Stack. My Mother Dreams the Satan's Disciples in New York — Barbara Schock y Tammy Tiehel. El vieyu y el mar — Aleksandr Petrov. Bror, Min Bror — Henrik Ruben Genz y Michael W. Horsten. Killing Joe — Mehdi Norowzian y Steve Wax. Kleingeld — Marc-Andreas Bochert y Gabriele Lins. Major and Minor Miracles — Marcus Olsson. 3 Misses — Paul Driessen. My Grandmother Ironed the King's Shirts — Torill Kove. When the Day Breaks — Wendy Tilby y Amanda Forbis. El violín coloráu — John Corigliano «You'll Be in My Heart» — Tarzán; Música y Lletra por Phil Collins. The Cider House Rules — Rachel Portman. «Blame Canada» — South Park: Bigger, Longer & Uncut; Música y Lletra por Trey Parker y Marc Shaiman. «Music of My Heart» — Música del corazón; Música y Lletra por Diane Warren. «Save Me» — Magnolia; Música y Lletra por Aimee Mann. «When She Loved Me» — Toy Story 2; Música y Lletra por Randy Newman. The Matrix — Dane A. Davis. The Matrix — John Reitz, Gregg Rudloff, David Campbell y David Llee. Fight Club — Ren Klyce y Richard Hymns. Star Wars: Episode I - The Phantom Menace — Ben Burtt y Tom Bellfort. La momia — Leslie Shatz, Chris Carpenter, Rick Kline y Chris Munro. Star Wars: Episode I - The Phantom Menace — Gary Rydstrom, Tom Johnson, Shawn Murphy y John Midgley. The Green Mile — Robert J. Litt, Elliot Tyson, Michael Herbick y Willie D. Burton. The Insider — Andy Nelson, Doug Hemphill y Lee Orloff. Sleepy Hollow — Direición artística: Rick Heinrichs; Diseñu de decoraos: Peter Young. American Beauty — Conrad L. Hall. Anna and the King – Direición artística: Luciana Arrighi; Diseñu de decoraos: Ian Whittaker. The Cider House Rules — Direición artística: David Gropman; Diseñu de decoraos: Beth Rubino. The Talented Mr. Ripley — Direición artística: Roy Walker; Diseñu de decoraos: Bruno Cesari. Topsy-Turvy — Direición artística: Eve Stewart; Diseñu de decoraos: Eve Stewart y John Bush. Mientres nieva sobre los cedros — Robert Richardson. Sleepy Hollow — Emmanuel Lubezki. The End of the Affair — Roger Pratt. The Insider — Dante Spinotti. Topsy-Turvy — Christine Blundell y Trefor Proud. Topsy-Turvy — Lindy Hemming. Austin Powers: The Spy Who Shagged Me — Michèle Burke y Mike Smithson. Condergaos a fugase — Rick Baker. L'home bicentenariu — Greg Cannom. Anna and the King — Jenny Beavan. Sleepy Hollow — Colleen Atwood. The Talented Mr. Ripley — Ann Roth y Gary Jones. The Matrix — Zach Staenberg. The Matrix — John Gaeta, Janek Sirrs, Steve Courtley y Jon Thum. American Beauty — Tariq Anwar y Christopher Greenbury. The Cider House Rules — Llisa Zeno Churgin. The Insider — William Goldenberg, Paul Rubell y David Rosenbloom. The Sixth Sense — Andrew Mondshein. Star Wars: Episode I - The Phantom Menace — John Knoll, Dennis Muren, Scott Squires y Rob Coleman. Stuart Little — John Dykstra, Jerome Chen, Henry F. Anderson III y Eric Allard. La última edición d'esta páxina foi el 15 abr 2019, a les 18:43.